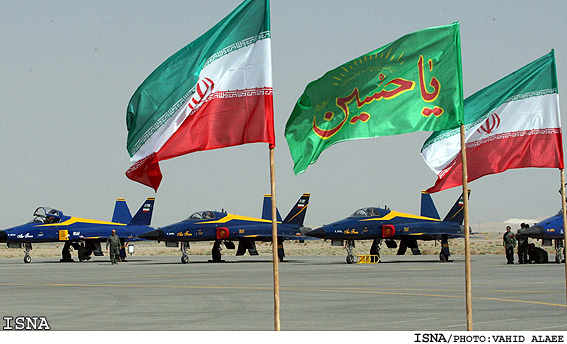 In this picture (http://www.thetruthseeker.co.uk/wordpress/wp-content/uploads/2014/02/Saeqeh-fighter-jets-Iran-Air-Force1.jpg, source: http://www.thetruthseeker.co.uk/?p=90142) taken back in 2010, there is a green flag in the middle with red lettering. It seems to be a religious prayer: "Yā Hussain is an Arabic phrase used by Shia Muslims to invoke the memory or intervention of Hussain ibn Ali. It is especially used in the context of the Mourning of Muharram." 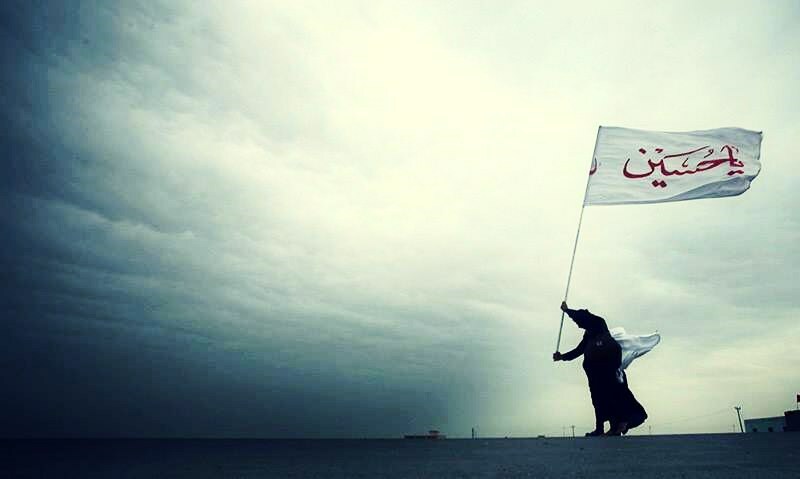 The Inscription on the flag reads YA HUSAIN. He was the 3rd Imam of all Shia who was martyred in Karbala, Iraq, centuries ago & is a symbol for all Shias to raise against the Oppressors. The wording above YA HUSAIN is the Famous Hadith of Prophet Muhammad that reads: " INNA-HUSAIN mISBAHUL-HUDA WA SAFINATUN-NAJAT" that means Husain is the Lighthouse of Islamic Guidance for the lost ships & the Rescue ship. 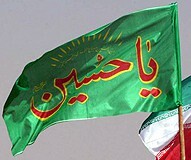 Such flags are mostly used by Shia Political & Military Groups in Iran & Lebanon." Not quite sure if it is a religious phrase. Mourning of Muharram was the day Hussain was murdered (some kind of genesis story of Shiite vs. Sunnite Muslims). Basically it means something like "Remember Hussein" (and forever don't be friend with his murderers). The event marks the anniversary of the Battle of Karbala when Imam Hussein ibn Ali, the grandson of the Prophet Muhammad, and a Shia Imam, was killed by the forces of the second Umayyad caliph Yazid I at Karbala.